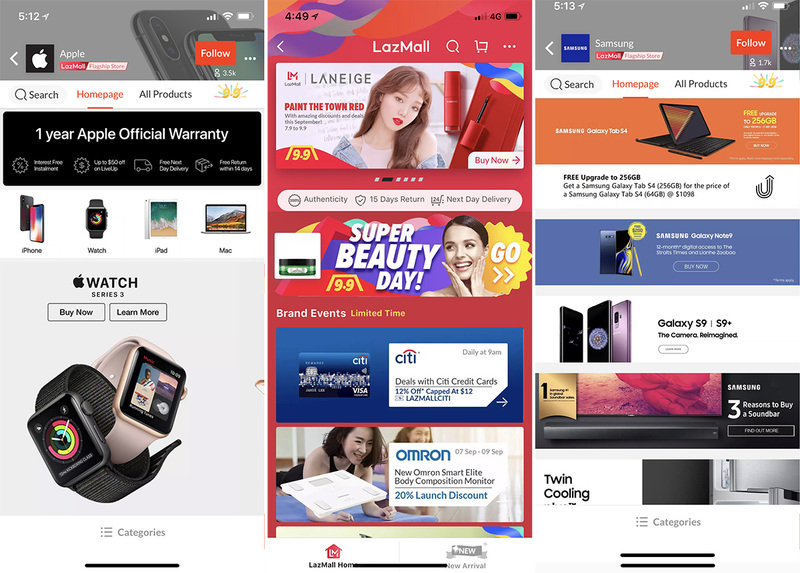 9.9 Sale happening across major online shopping platforms this coming Sunday, but Lazada’s new LazMall is worth looking out for. LazMall is giving you peace of mind when shopping for authentic products is a major concern for you. Major brands like Apple, Samsung, Philips, Ray Ban, Huawei and many more had opened a flagship store in LazMall. So what you get from these store’s listings will be directly from these brands and warranty will be covered by the brands. 100% authentic products: LazMall only sells authentic and original branded products. If you ever receive non-authentic products, Lazada promises to give shoppers twice your money back. 15-day hassle-free return policy: You can change your minds within 15 days of purchase if you are not completely satisfied with your purchase from LazMall at no cost. Next day delivery: With LazMall’s next-day delivery promise*(for selected products), you can look forward to receiving your purchases within 24 hours. We can’t help but to spree. FYI this is not a sponsored post. Good things must share. We waited for the last few days to see if there’s any good deals up for grab before writing this post. Don’t need to wait till Sunday. The sale ready started and we’ve personally got some stuffs for ourselves before writing this post. Check out our purchases in the picture above. On top of those offers, you can get extra discounts if you hit the spending quotas. 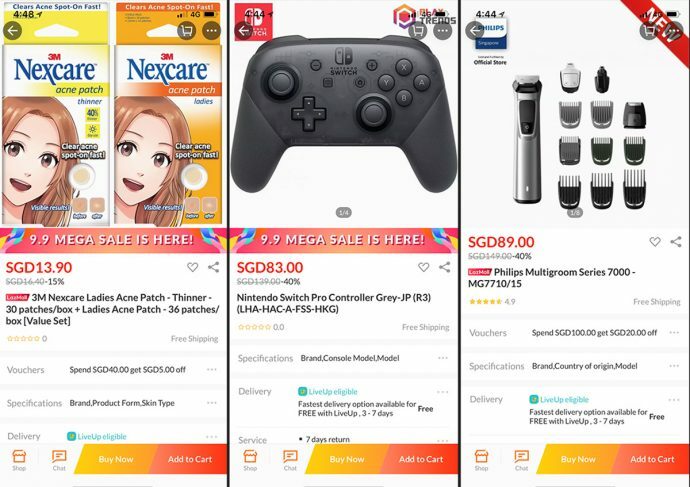 Well if you know a lot of friends have an account with Lazada, don’t missed the Slash It game, as you can get super good deals if you have enough friends to help you slash the price down. 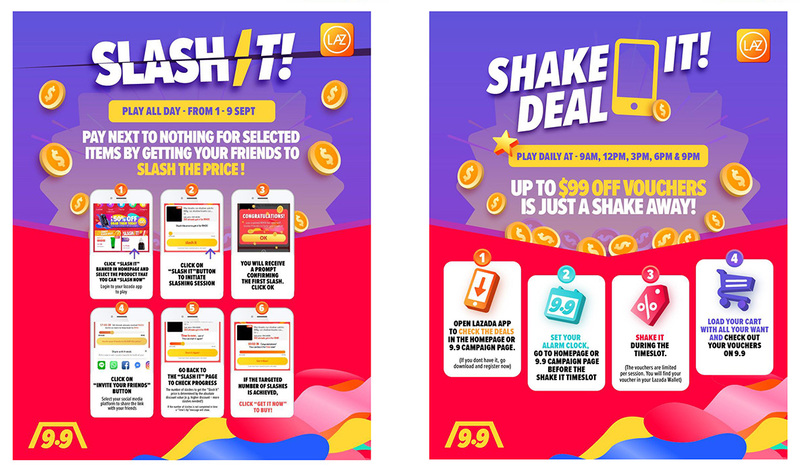 Slash It – Invite your friends to help ‘slash’ prices. Shake It – Login to the Lazada App and ‘shake’ your mobile phone to win Lazada vouchers and discount codes.